Diabetes mellitus is a condition which affects the regulation of blood glucose in your body. Diabetes can damage many organs in the body including skin, nerves, kidneys, blood vessels, heart and eyes. Sustained and uncontrolled blood glucose levels eventually cause damage to the structures of the eye called diabetic retinopathy or diabetic maculopathy. These changes can be by an eye doctor either by special scans and photographs or by examining the eye with special pieces of equipment. Over time, damage can develop in the blood vessels that supply the retina. This can lead to some vision loss, which can affect both seeing things clearly at a distance and seeing things in fine detail, such as the small print in a document. As diabetic retinopathy reaches its most advanced stage, some of the blood vessels that supply your retina will become blocked. To compensate for this, your body will start to produce new blood vessels to restore the supply of blood. These blood vessels may bleed or leak. As the new blood vessels are unstable and prone to bleeding, they can cause blurred and patchy vision as the blood obscures your sight. Over time, the bleeding can lead to the formation of scar tissue. There is a risk that this will pull your retina out of position. This is known as retinal detachment. Retinal detachment can lead to a darkening of vision, floaters and, if left untreated, a total loss of vision. There are a number of risk factors that increase your chances of developing diabetic retinopathy. Duration of diabetes; The biggest risk factor for diabetic retinopathy is the length of time that you have lived with diabetes. Blood glucose level; The higher the levels of glucose in your blood, the greater your risk of developing diabetic retinopathy. People with high blood glucose levels are more likely to progress to advanced diabetic retinopathy. High blood pressure; People with high blood pressure (hypertension) are likely to progress to advanced diabetic retinopathy. For early or moderate diabetic retinopathy the best treatment is good control of diabetes and control of risk factors. 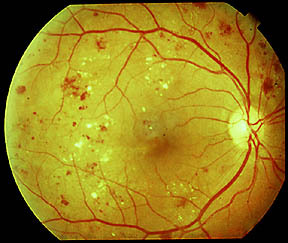 Advanced diabetic retinopathy like diabetic maculopathy (with sight threatening features) and proliferative retinopathy usually require laser treatment. In advanced proliferative retinopathy, laser treatment may not be possible and a type of eye surgery called vitreous surgery may be required. Laser or injection treatment cannot replace good diabetic control. If your diabetes, blood pressure and cholesterol remain out of control, laser or injection treatments will fail and you may lose vision. The type of laser treatment used to treat diabetic retinopathy is known as photocoagulation. Photocoagulation involves using a laser to burn away any abnormal blood vessels or abnormal retina which may affect the normal retina. 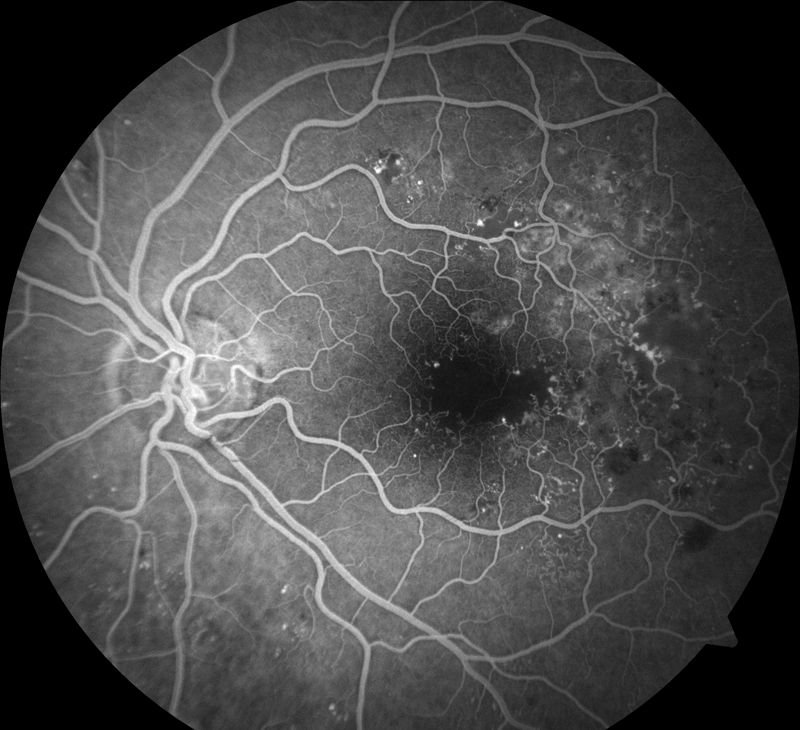 Photocoagulation reduces the risk of severe visual loss over 5 years by 50%. More than 50% of people who have laser treatment for diabetic retinopathy notice some difficulty with their night vision, and 3% notice some loss of peripheral vision. Injections can help in certain types of diabetic retinopathy by reducing leakage in the retina.This type of retinopathy is called diabetic maculopathy. 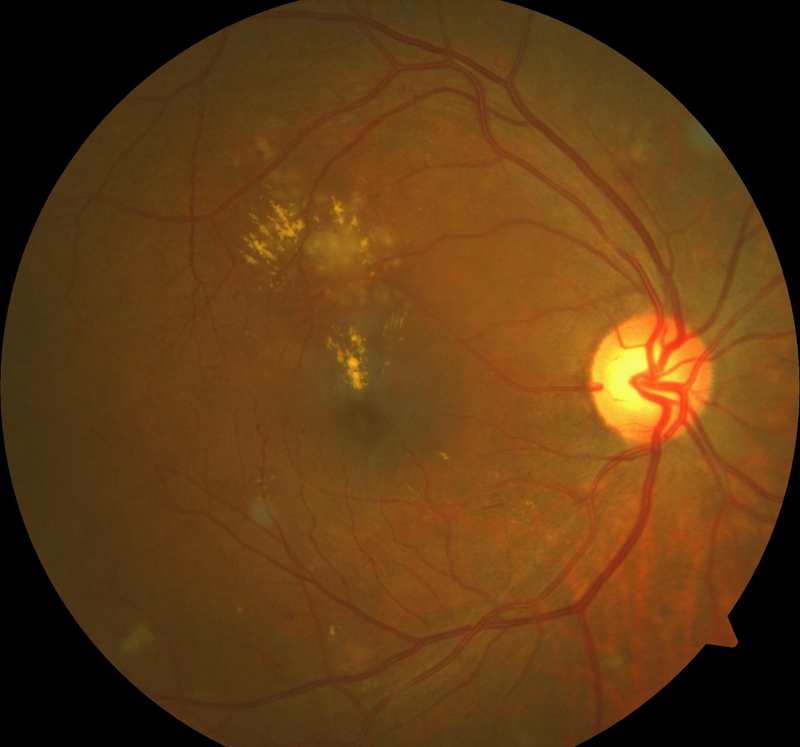 Initial stages of diabetic maculopathy may be treated with laser. However in some instances or later stages, injections may be more helpful. The injections of drugs called Ranibizumab (Lucentis®), Bevazicumab (Avastin®), Afiblicept (Eyelea®), Triamcinolone or Flucinolone acetate (Illuvien®) are usually used depending on circumstances. You should talk to your doctor about these as each of these will have risks and benefits, which will need to be considered on a case to case basis. Seek medical advice if you experience any new eye problems following treatment. Disclaimer: This information leaflet is produced to help increase awareness regarding diabetic retinopathy. It is not intended to replace professional medical advice or to provide advice in any special individual circumstance. Please seek expert medical advice regarding your specific medical condition.